When it arrived in theaters back in 2014, Phil Lord and Chris Miller’s The LEGO Movie lived and died by its engaging earworm theme song — “Everything Is Awesome” — and for once, the sentiment was 100% on point. The film was fantastic, and lead to a new toy-based franchise that families could get behind. 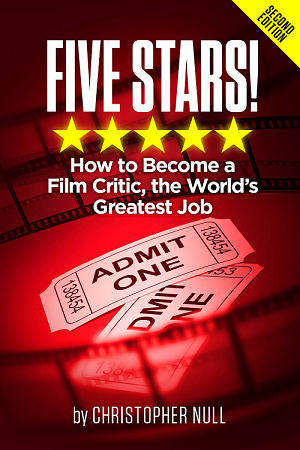 Proof came in February when The LEGO Batman Movie opened to amazing reviews and boffo box office. So, does the latest installment in the series, The LEGO Ninjago Movie match up? Is it on par with its previous namesakes? Well, the answer can be summed in a paraphrasing of that aforementioned tune–“Everything Is Average, But Anarchic.” If a film can be accused of having ADHD, it’s this one. It bounces around from concept to concept, falling into the trap of trading on life lessons and present day pop culture references instead of anything unique or novel. In fact, it’s just a typical animated kids movie that uses an unusual design and previously explored ideas to stand out. 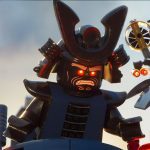 The narrative revolves around the fictional city of Ninjago. Five teens–Kai (Michael Pena) the hothead, Jay (Kumail Nanjiani) the thoughtful one, Nya (Abbi Jacobson) the warrior, Zane (Zach Woods) the cool, stoic one, and the music loving Cole (Fred Armisen)–join their pal Lloyd (Dave Franco) in training to protect the citizenry from a horrible threat. 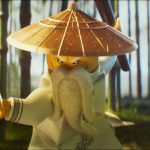 Master Wu (Jackie Chan) is in charge of getting them ready to take on Lord Garmadon (Justin Theroux) who threatens their zen-like peace. Of, and did we mention the villain is Lloyd’s dad, and Wu’s brother? And that there’s lots of manic machines and overblown action scenes as part of the piecemeal plot? The LEGO Ninjago Movie really should be better. It’s like The Godfather III of these fledgling building blocks-busters. It’s still irreverent and boundary pushing, but not in the way its predecessors were. As a matter of fact, one could argue that this is the first LEGO movie which feels like a parody of itself. Instead of expanding on the formula, it follows the tricky tropes Lord and Miller invented. The script, written by a literal committee, does offer some jokes and joy, but there’s also unnecessary melodrama and a perfunctory jumps into live action (yes, again). One of the biggest letdowns here is the voice work. Jackie Chan does what he can, but the rest of the cast barely stand out. They are also undermined by a narrative approach that is jumbled and incoherent. The LEGO Ninjago Movie is a lot like a toddler after one to many Pixie sticks. It’s constantly on the move, like a shark. Of course, the reason that dreaded stays in motion is to keep from dying, and in some ways, it’s the same with this film. Directors Charlie Bean, Paul Fisher, and Bob Logan realize that the audience is expecting nonstop action, and they do not want to disappoint. Sadly, by focusing on moving forward, the entertainment levels decline. We get the decided feeling of ‘been there, done that,” and for something so current, this shouldn’t be the case. Sure, there are references to the martial arts epics of the past, some of which Master Wu himself was a part of, but Kung Fu Panda knew how to do the Shaw Brothers with both respect and irreverence. 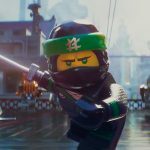 The LEGO Ninjago Movie is all copying and no creativity. Still, kids will eat it up and demand more. In fact, the whole LEGO dynamic feels a lot like the breakout stars of the Despicable Me films–the minions. A little, done right, goes a long way. Here, we get way too much. Instead of being enjoyable, it’s exasperating.